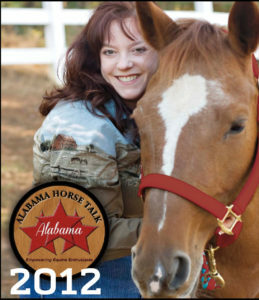 In 2011, Becca Salamone served as Secretary of the Alabama Horse Council, and in 2012, started AlabamaHorseTalk.com. The website features Alabama Horse Talk Radio and the Alabama Horse Talk Directory which lists equine-related businesses and services. Over the next five years, Becca built a solid following resulting in thousands of listeners all across the world, with an emphasis in the southeastern part of the U.S. In 2015, with an ever-growing audience across the South, Becca changed the name of the business to Southern Horse Talk to reflect the broadened coverage of horse people and their stories. SouthernHorseTalk.com promotes equine businesses and events across the South. A Southern Horse Talk Facebook group was added in 2015 to give Southern horse lovers a place to converse about the unique equestrian lifestyle in the South and to provide a place to showcase Southern equine businesses and horse happenings through social media. Becca and her family are famously patriotic, so it made sense to change the name yet again in 2018 to reflect the pride in their country. In addition, there were too many great stories out there waiting to be told that didn’t fit into the confines of the southeast region, so on July 4, 2018, American Horse Talk was born. The Salamones invite you to join them on their journey to recognize all the great stories of horses and horse owners across the U.S., from sea to shining sea. They invite you to celebrate the patriotic equine lifestyle through the live streaming show American Horse Talk LIVE! and by featuring quality equestrian products, which are proudly made in America.